My First Pilates Class in Austria – why am I so scared? I am no stranger to exercise and work out classes. I have attended many – I know what to expect, I know what to wear and for the most part I know I can handle it. The first time at a new class is usually a bit daunting but never really caused me any major stress. Late last year, I received a flyer in the mail advertising a Pilates class in my local area. And I thought – well that’s a good idea! I’d done some Pilates before and knew it was great for your back. And my back desperately needed some low impact strengthening as it continued onto its journey back to 100%. Ok, it wasn’t as simple as that. Winter in Austria is cold. I think I’ve reiterated that time after time, and will probably continue to do so… because… well… it just is! I hate the cold – my body’s not made for it. But I do like exercise, I do like sun and I do like fresh air. And just because it’s snowy outside, doesn’t mean that physical activity has to stop. Since hubby and I are not exactly dedicated to all that’s required to go skiing on a regular basis, we found a great alternative – Snow Shoe Walking. I went for a run recently… sans-technology… and it was magnificent. I love wandering around in the mountains. Don’t get me wrong, I don’t want to do it when the weather is suboptimal – if it’s excessively freezing, windy or raining – but otherwise, it really is the ultimate way to get some fresh air, exercise, and of course some traditional Austrian food! You’ve probably seen people doing it, you’ve probably scoffed at them. It’s called Nordic Walking but I prefer the more literal translation of Stick Walking. That is, walking with sticks. I myself have scoffed at people doing it. Now, why on earth would you go walking with sticks when you can just walk, or run? Surely it’s just an old person’s sport for people that need help walking? That was until I tried it. Coming into winter upon my arrival in Austria I was a bit worried about becoming a hermit who wouldn’t leave the house! And so knowing how much I loved dogs, and missed my own in Australia, my lovely boyfriend organised for me to walk dogs at the local shelter. This not only made me (and the dogs) happy, but also motivated me to get out of the house for some fresh air on those really cold, winter days. So here’s my current top three dogs! And one day there were puppies at the dog shelter! So cute! Swimming is not big in Austria. Sure, there are people that do it, but not that many. Well, what did I expect from a land-locked country anyway? In Australia it seems like there is a pool every 5km – that is definitely not the case in Austria. 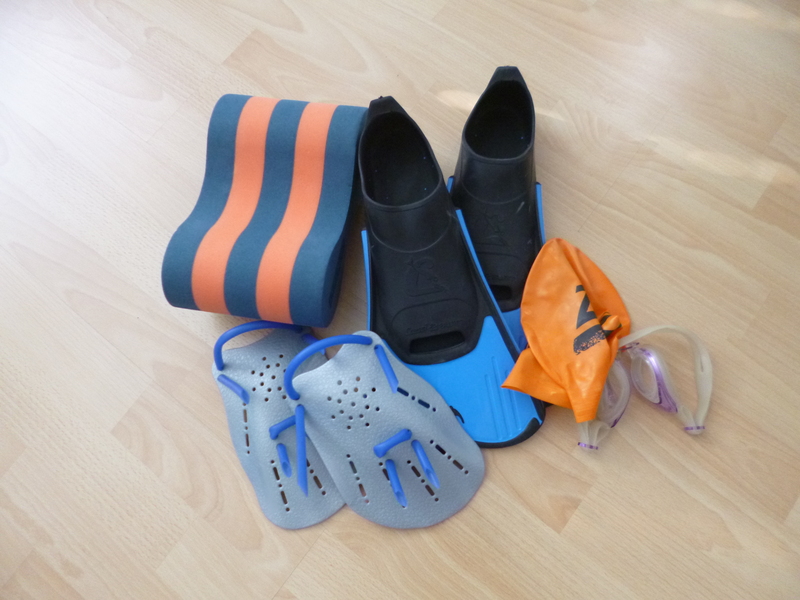 Luckily the gear you need to actually swim in the pool is the same all year round. My first swim alone was a bit of an adventure.